Birds continue to appear in my work. Significance? Birds are seen as spirit messengers in many cultures. Wings of flight – freedom – the ability to soar above it all. 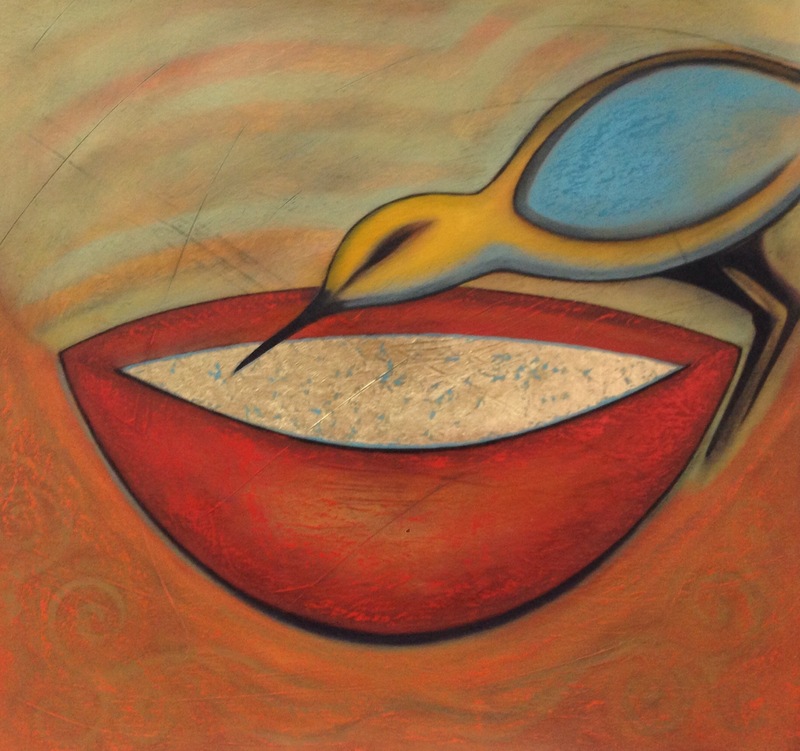 This little bird has found the sacred waters, and she is drinking from the source. The Cumaean Sibyl is renowned in myths and legends as a prophetess delivering wisdom to emperors and kings, the wealthy and common people alike. They traveled far and wide to hear her predictions of the future. There were many sibyls in the ancient world, the Oracle of Delphi in Greece for example, but the Cumaean Sibyl became legend because of her close proximity to Rome. It is told that she spoke in riddles, and read leaves as part of her divination. She was a woman who held immense power in times when women rarely did. To visit her cave became an obsession for me at one point but I put the notion aside. 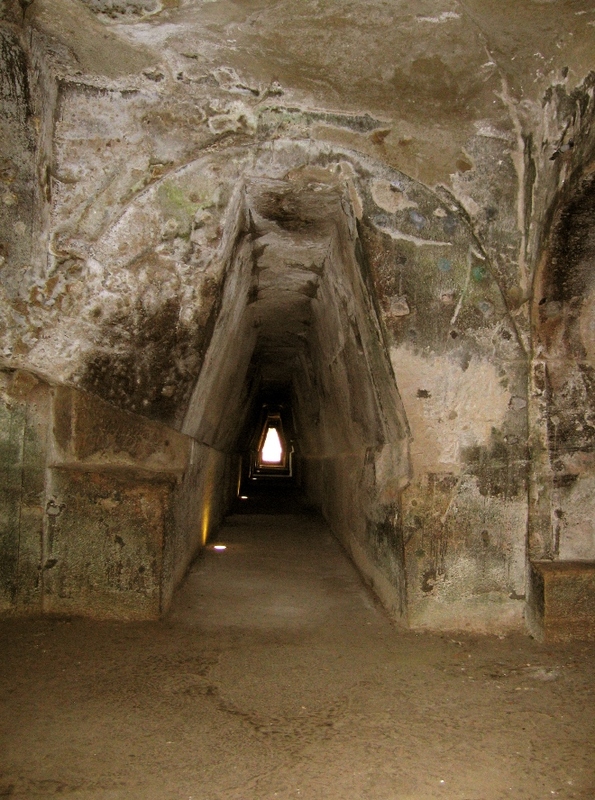 Then a couple of years later, I was in Naples, and picked up a tourist brochure and there was the Sibyl’s Cave just a train ride away! We took the local train down the Amalfi Coast and got off at Pozzuoli, a small village where the archeological park was. But once there, we could find no information about the site. Frustrated and tired we headed for a seaside cafe – (when in doubt, have a nice Italian meal.) I noticed a well-healed man with his family in a table nearby, and decided he could probably speak English. When I asked if he knew of the Sibyl’s Cave, he said yes, but you need a car to get there. (He was a shoe designer/manufacturer in Naples with a famous California client he thought I would know, Arnold Schwarzenegger.) This good man arranged for one of the cooks to drive us up the mountain to the site and told us how to get the bus back down. Once there, I had the opportunity to walk the sacred cave, a long trapezoidal passageway cut out of volcanic stone, and enter her chamber alone. I sat in the space connecting with the energy and imagined her imparting her wisdom. “If these walls could talk”, I thought. This place is definitely not on the tourist radar – there were just a few others in this expansive park. I was awed. Images stay with us and imprint on our consciousness. As an artist, I never know when they will emerge, ready for the canvas or paper. Here are three of my paintings that I feel echo the ancient passage of the Sibyl. My newest painting in the Floating Lotus series. The lotus is associated with the 7 chakras in Buddhism – purity, an awakening of spirit, spiritual enlightment. In Egyptian mythology, the lotus flower is a symbol of the sun, creation and rebirth. 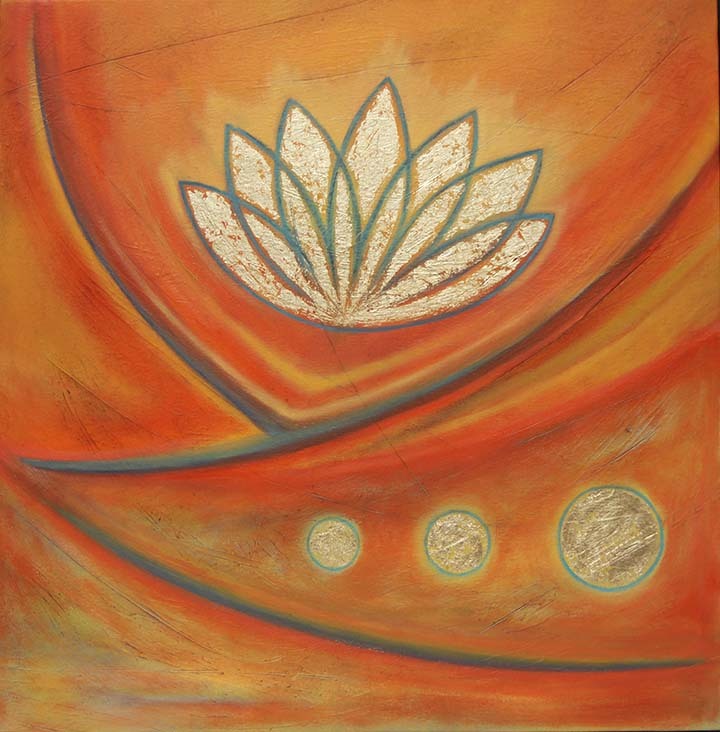 The lotus has been a recurring image in my prints and paintings over the last 20 years. I’ve been teaching Monotype Workshops in my Mazatlán studio since 2007 and have been wanting to combine my interests in archetypal symbols and spirituality with my favorite monotype techniques. So drumroll…. here it is! I’m excited to be offering this workshop this January and feel it is a great way to bring in the New Year. This is for artists and non-artists – so no experience necessary. Feel free to email me with any questions. In this workshop we will use Monotype printing and collage techniques to explore archetypal symbols, symbols in nature, and images from sacred sites. We will go beyond the art process to tap into the collective vision with meditation, journaling, and intuitive artmaking. 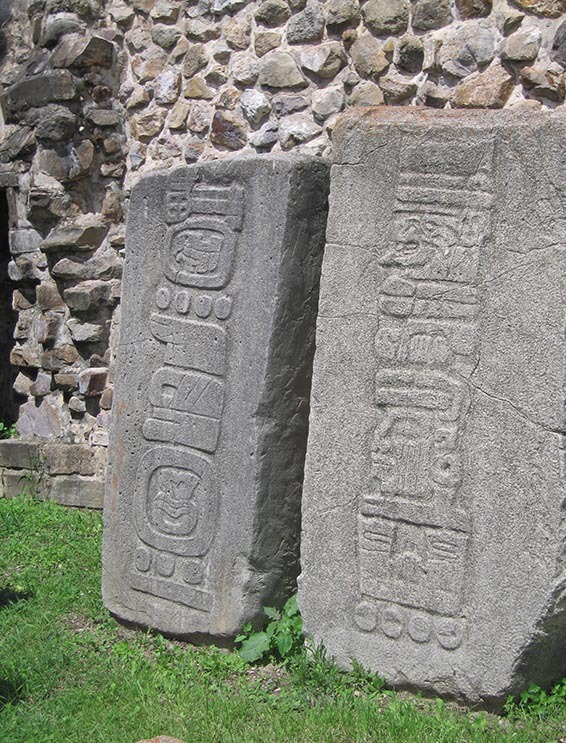 We will visit a sacred site, Las Labradas, where symbols are inscribed on stone by the shamans of the Toltec tribe. Both artists and not-artists are welcome in this workshop where you will explore, create, and share. The studio, located in the heart of the Centro Historico District, is 1 ½ blocks from Olas Altas Beach and a short walk to the Plaza Machado – a lively plaza with outdoor cafes and music. Other activities in the area include yoga, massage & spa facilities, great seafood, and shopping. She was hanging in space – in a web of her own creation. I was intrigued by the zigzag pattern that she created. Most people take one look and think “Creepy!” But I always think of Arachne (or Ariadne), one of the great goddesses of Ancient Crete. I have a hard time just going for the broom immediately so I let her hang around a bit before I almost fell into her web, then sent her running to another part of the garden. There are a number of myths about Arachne, the Weaver Goddess. She was mistress of the Labyrinth in Minoan Crete who led Theseus to the center and safely out again with her golden thread. But before gaining goddess status, as a mere mortal she refused to give Athena, goddess of wisdom and craft, credit for her weaving expertise and challenged her to a weaving contest. Athena became enraged at her more beautiful cloth and it’s depiction of Zeus and his amorous conquests and turned Arachne into a spider. As an archetype, she helps us find our soul at the center of ourselves, via the Labyrinth. In biology, spiders are classified as “arachnids” after the Greek Goddess. So although a little creepy to allow her free reign, I find it more unsettling to squash this symbol of the ancient goddess. On my second trip to Australia in 2008, I made a pilgrimage to Uluru in the Northern Territory, (better known as Ayer’s Rock, named after the European who ‘discovered’ it). 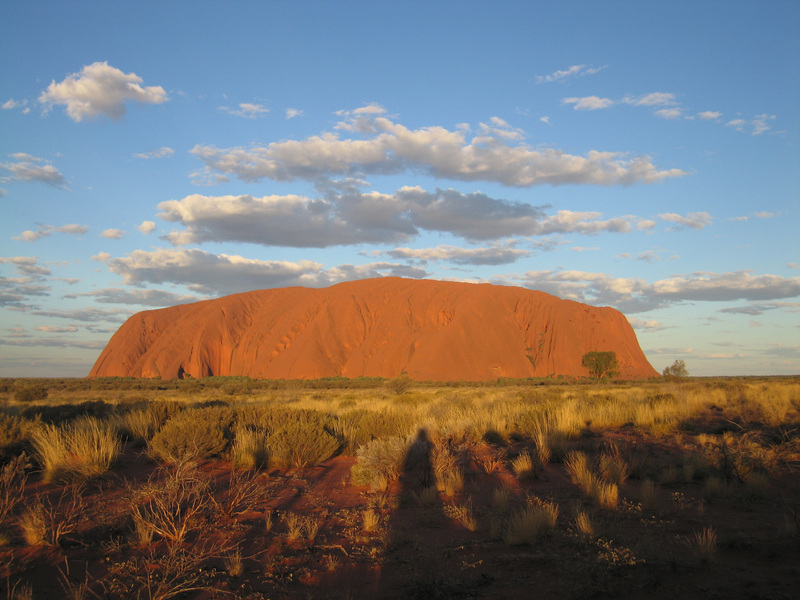 Ofcourse this land has been held sacred by the Anangu, the Aboriginal people for thousands of years. This huge red rock rising out of the desert has a mythical, mysterious quality. After settling into my hotel, I took a shuttle bus to view Uluru at sunset – the perfect photo op. The next morning, I set out with the intent to have a more intimate experience with the sacred rock. The Aborigines request that visitors not climb it yet the Australian Parks Department who leases the site from the Aboriginal people, allow it. I was in the minority who chose to respect the sacredness of the site and walk around the base of the rock, a distance of 10.6 km. As I walked, I did a meditation and communed with mother nature, and the spirit of the ancestors. Around every corner were undulating rocks, sensuous and feminine, in colors that ranged from rose to bright red to purple. I was delighted to find several small caves along the periphery with drawings of spirals and other creation myth symbols. (My heading on this blog is from one of the caves.) What a gift to have the opportunity to walk this sacred land, following in the footsteps of the ancestral beings and feeling the connection to Spirit! The Heritage Trust is an organization whose goal is to protect ancient sites and artefacts around the world. They just mentioned in their latest blog the plight of many rock art sites in Australia that aren’t being protected, Erasing Australia: A Journey to Destruction. Read more here…. 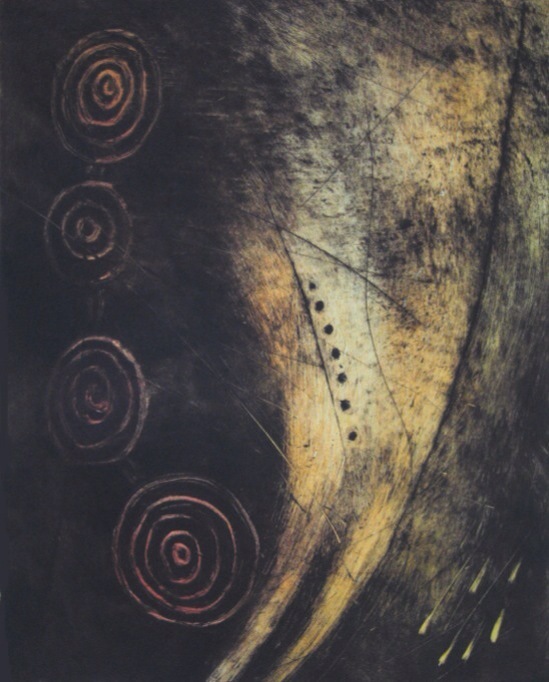 This is a few prints from a series of monotypes, Notes from Uluru, 30″ x 22″, I created upon returning to my studio. 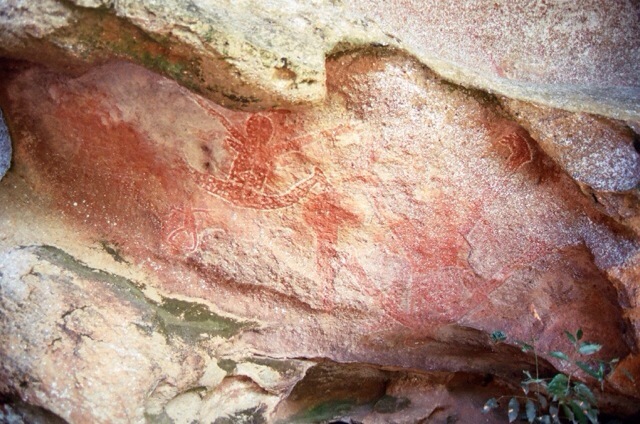 They reflect the vivid colors of the earth and the symbols hidden away in the caves -my own vision and experience. Although I was originally drawn to neolithic sacred places in Old Europe for their feminine energy, I now find myself living in Mexico – a rich landscape of pyramids and archeological sites. The ancient cultures, including the Zapotecas, Aztecs, Mixtas and Mayans, seemed to have been male-dominated societies, yet Madre Tierra (Mother Earth) was also revered in various forms such as Coatlicue, as well as the four elements in nature: Earth, Wind, Fire and Water. Visiting these sites, I focus on the glyphs carved and painted on the pyramid walls wondering how they will find their way into my work. I find a place away from the crowd to commune with the spirits, do a silent meditation or yoga. 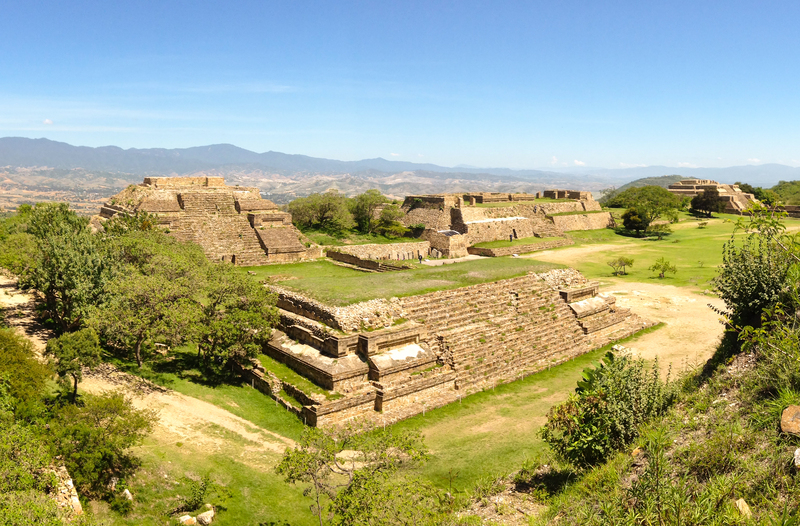 Outside of Oaxaca lies Monte Albán, an ancient Zapotec site with an impressive complex of pyramids and an expansive view of the countryside. Here I felt a sense of spirit, a sense of place. I was entranced by the multitude of stone monuments inscribed with figures and symbols, a hidden language whose forms intrigued me. Back in the studio, I found myself mixing and matching the vertical stacks of glyphs, circles, dots and wavy lines, and then pairing them with more feminine symbols such as the vesica piscis and the spiral. Perhaps it was my little cosmic joke to balance the yin to the yang, and thus provide a completeness and wholeness to these ancient images. The motivation for this blog is to share my journey to sacred sites around the world. I write from the perspective of an artist – not as a scientist or an archeologist. I take pilgrimages to these incredible sites as a way to connect with spirit of place, to walk in the footsteps of the ancestors, to see the symbols carved in stone and painted on cave walls first-hand. I stand in awe and bask in the mystery of what once was and what is left behind. 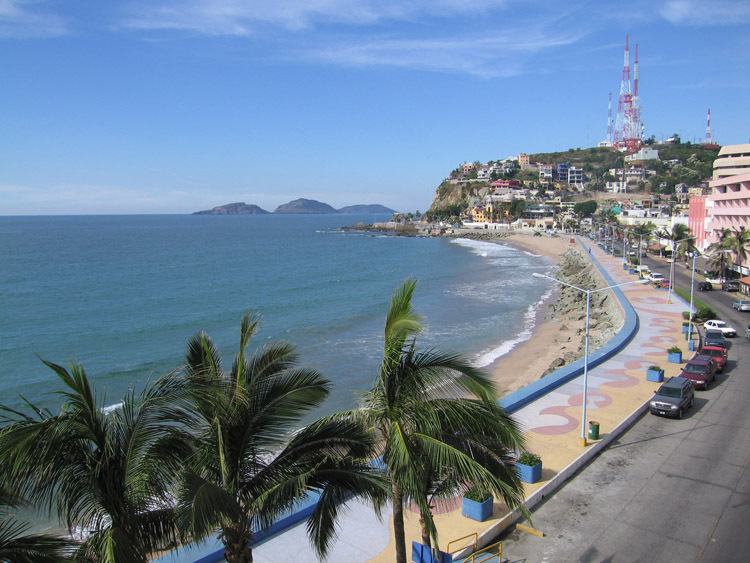 In addition to my own artwork, I also teach printmaking workshops to locals and international artists in my studio in Mazatlan as well as take artists on ‘Art Vacations’ to other great cities like Oaxaca and Guanajuato. I’m planning the next one for Peru and should be great! 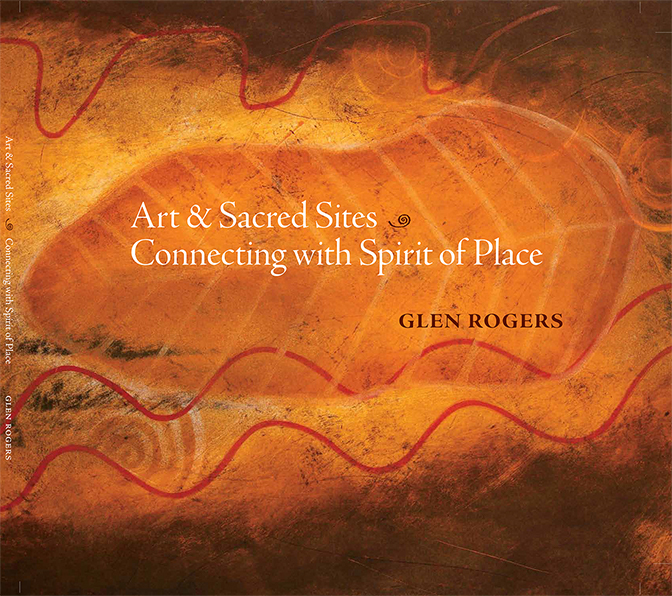 In May 2014, I published a book, Art and Sacred Sites: Connecting with Spirit of Place, about my journeys and inspirations. 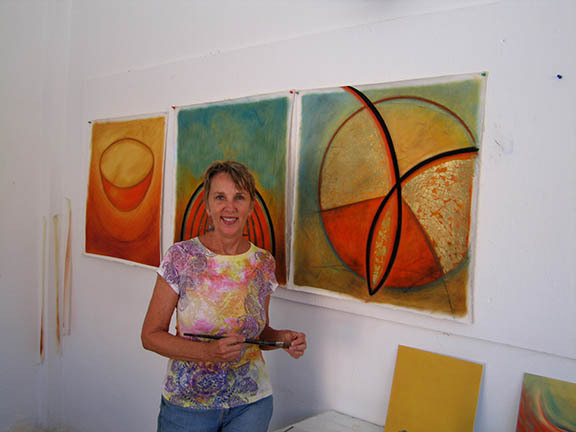 (Available through my website: www.glenrogersart.com) I was motivated to produce the book when I realized there was a pattern to my travels over the last twenty years – I would visit a sacred site, then return to the studio to create a body of work. I have sought out sites around the world that held meaning and fascination for me from the Temple of Knossos in Crete to Uluru in Australia. Although I have kept a journal for many years, writing the text for the book was a challenge – but one I came to enjoy. Now that it is in print, I realize I enjoyed the writing and feel the need to continue to share my experiences through this blog. 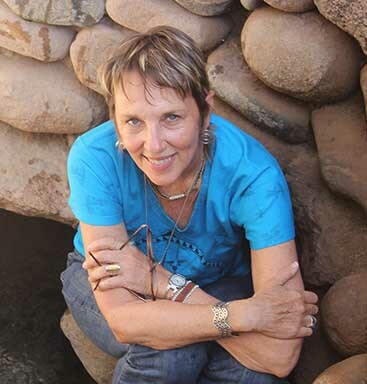 I would love to connect with other artists, adventurers or armchair travelers who share my fascination with the ancients – with those who have come before us. On my first trip to Australia, I visited Cooktown north of Cairns on the Cape York Peninsula. 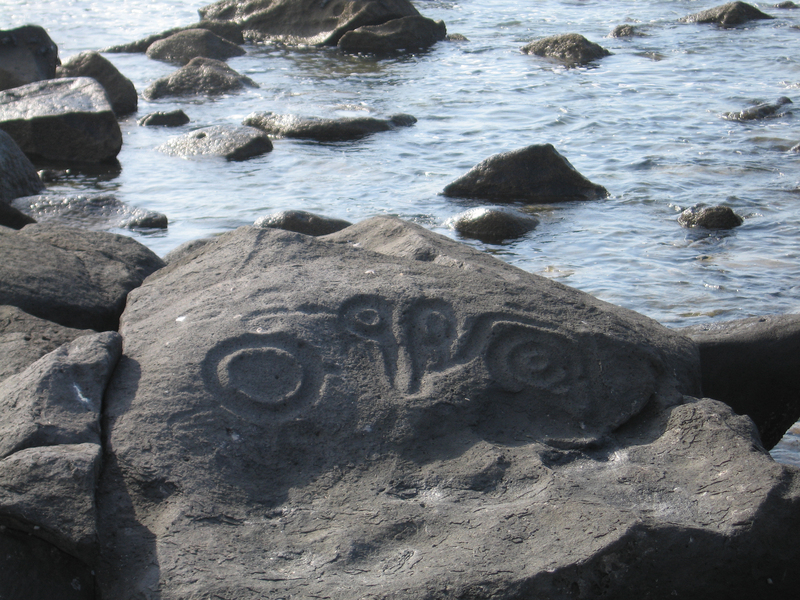 I specifically sought out rock art since I knew the indigenous culture dated back thousand of years. I had scoped out an area about 25 miles out that was protected by park lands, but then noticed a message on a bulletin board advertising a walk thru the bush with an aboriginal guide. I jumped at the opportunity to visit the ancestral lands of the Nugal-wara normally closed to the public. 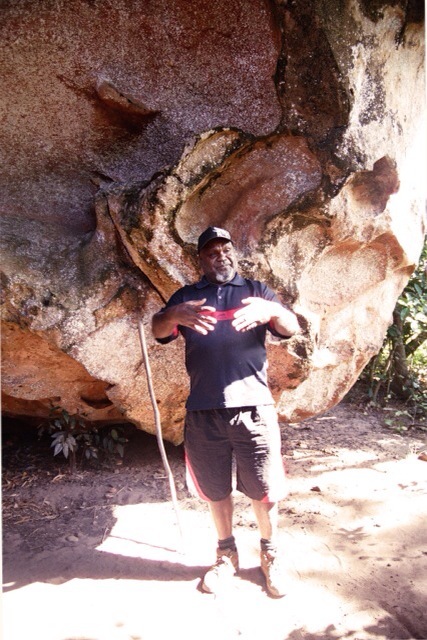 There were 5 or 6 of us who signed up to walk into the bush with Willie Gordon, an Aboriginal guide and tribal elder. He led us through a landscape of towering sandstone rock formations that we experienced from above, and then into the gorges. 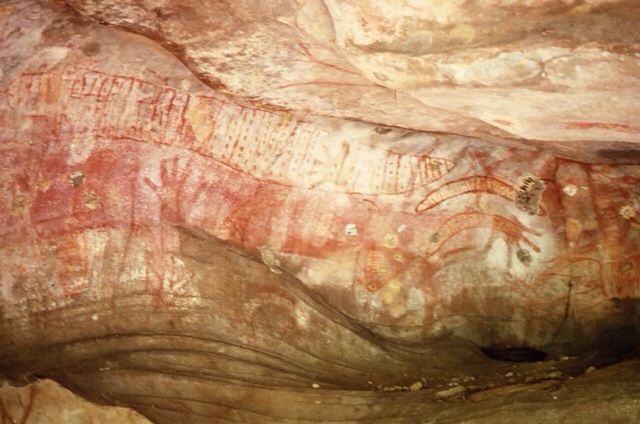 In another cave, images of a rainbow serpent, their image of Mother Earth, were drawn on the wall with pigments from the earth. When we stopped, Willie would draw images in the sand, sharing tribal myths and symbols, but what most touched me was his sharing from the heart. He explained, ‘It is our spirituality that determines our survival.” He spoke of the ‘light’, the Aboriginal basis for their connection to Spirit, and explained how the rainbow serpent is their connection to Earth, the practical. Water and light are their two most important spiritual elements, and he described how the cave paintings represent a pathway through life. Even today, the tradition of painting on the walls continues, as each generation adds their own marks leaving a legacy for the next. This was such a blessed opportunity to spend time with Willie Gordon as he shared with us his ancestral history and spiritual connections. 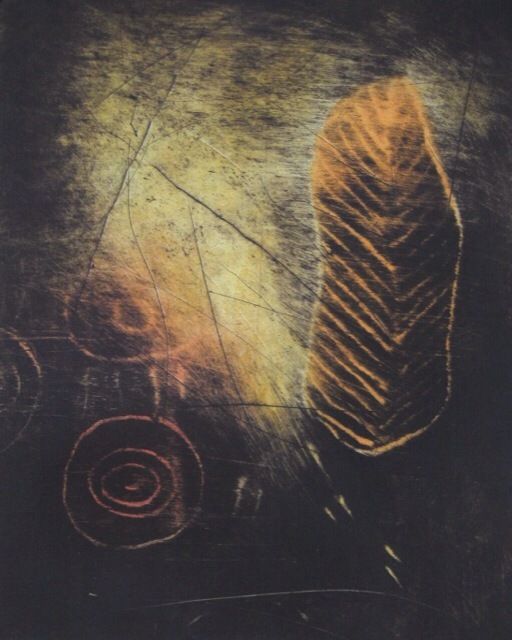 Back in the studio, I was moved to capture the essence of these cave paintings, so I began a suite of small monoprints called “Writing on the Wall.” Layering the images from my mind’s eye and from photos I’d taken, my intention was to create a rich surface that sparkled with the mystery I’d felt on this sacred land. 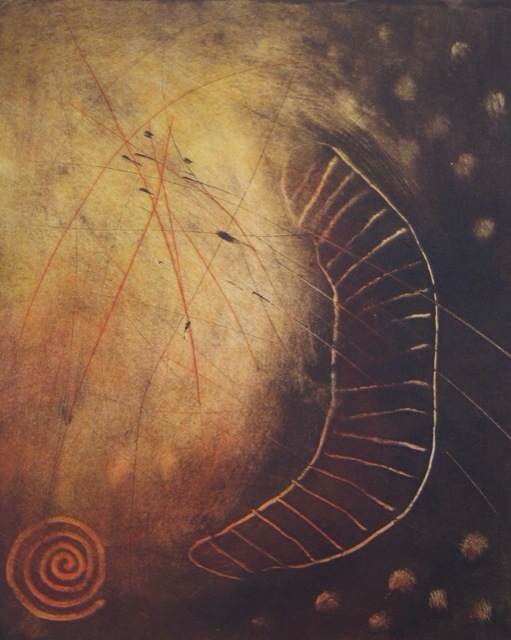 I interwove images of the Rainbow Serpent with nature imagery such as spirals and textures carved into the caves. Scratching into the plate using the drypoint process, I created a rich surface before applying the ink to the plate. Subtle layers of transparent color were rolled on or added by hand (a la poupee) after the initial dark umber matrix. Each print is unique, a one of a kind image. Some of the prints are still available, contact me to view more images.